As the new freshman class of Congress makes history as the most diverse class in the history of Congress, lawmakers on both sides of the aisle are calling on colleagues to pay the intern class on Capitol Hill. Last week, a congressional committee gave final approval to a new program forcing Congress to set aside funding to mandate Congress to pay its interns. The non-profit bipartisan group Pay Our Interns, which pushed the effort for intern pay, is now working with lawmakers on both sides of the aisle to push for greater diversity with the halls of Congress. 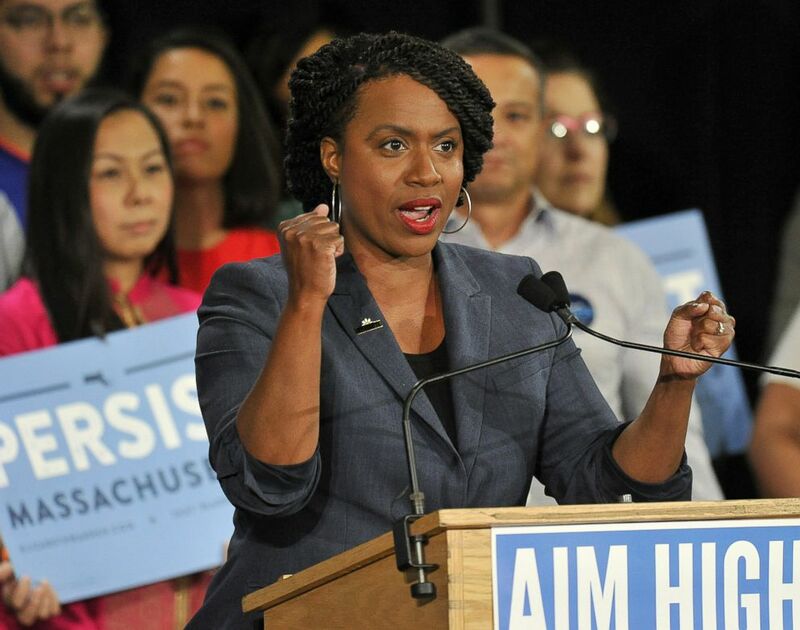 In a new video released on Monday, freshman Rep. Ayanna Pressley recalled her stint as an unpaid congressional intern. "I worked three part-time jobs so that I could do that unpaid internship. And I had to work. I had rent to pay. I was contributing to bills in my family's household. " Pay Our Interns co-founder Guillermo Creamer told ABC News his group plans on traveling across the country over the next six weeks, targeting historically black colleges and universities and Hispanic serving institutions' "Reflect Us" campaign. Pressley is one of over a half a dozen members of Congress who will be working with Pay Our Interns to push for diversity within the internship class. In 2016, then-Speaker Paul Ryan drew criticisms for posting a selfie with House Republican intern class which lacked diversity. Rep Barbara Lee blasted Ryan saying "there’s no excuse for not having diverse staff & interns." Congressional Democratic candidate Ayanna Pressley addresses supporters during a Democratic Party Unity Rally at the Cambridge Community Center in Cambridge, Mass., Sept. 9, 2018. Congress set aside $14 million towards intern funding. Each office will be allowed to pay interns up to $1,800 per month. Previously, intern pay was at the discretion of the office. According to a 2017 study that Pay Our Interns conducted only 51 percent of Senate Republicans offered paid internships and 31 percent of Democrats. In the House, paid internships were even harder to find, nearly 90 percent of offices didn't pay interns. Only 8 percent of Republicans and 3.6 percent of Democrats set aside funding. Although Pay Our Interns is pushing for the diversity of the internship class, Creamer says he believes it is a starting point to diversifying staff on the hill. "Workforce is a pipeline, internships are an entry point." According to the Joint Center for Political and Economic Studies found in the last Congress, people of color accounted for 13.7 percent of senior staffers in the House. Since the new class takeover in January people of color now account for 22.1 percent of senior staff in offices for newly elected members of the House. Pressley agreed that internships are a pipeline, urging her colleagues to diversify their ranks. "We need to diversify this pipeline, make sure that more people have an opportunity to learn the inner workings of government." That unpaid internship would be a foundation for Pressley's political career, the same office she interned in over two decades ago is the same office she represents as a member of Congress.